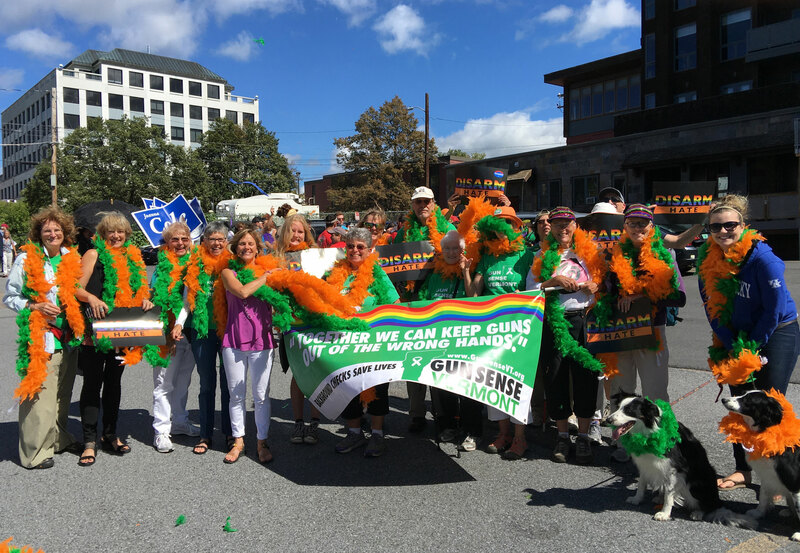 On Sunday September 11th, Gun Sense VT supported the LGBT community while marching at the Gay Pride Parade parade in Burlington, VT. This grassroots organization is getting the word out about preforming background checks for all. This important gun control issue is one that the Democratic party in Vermont supports including Sue Minter, running for Governor, and Dave Zuckerman, running for Lieutenant Governor.